The next Galaxy, as Samsung likes to call it, is now just one month away and today the international variant of the Galaxy S10+ has been benchmarked. But rather surprisingly, the results are pretty underwhelming. 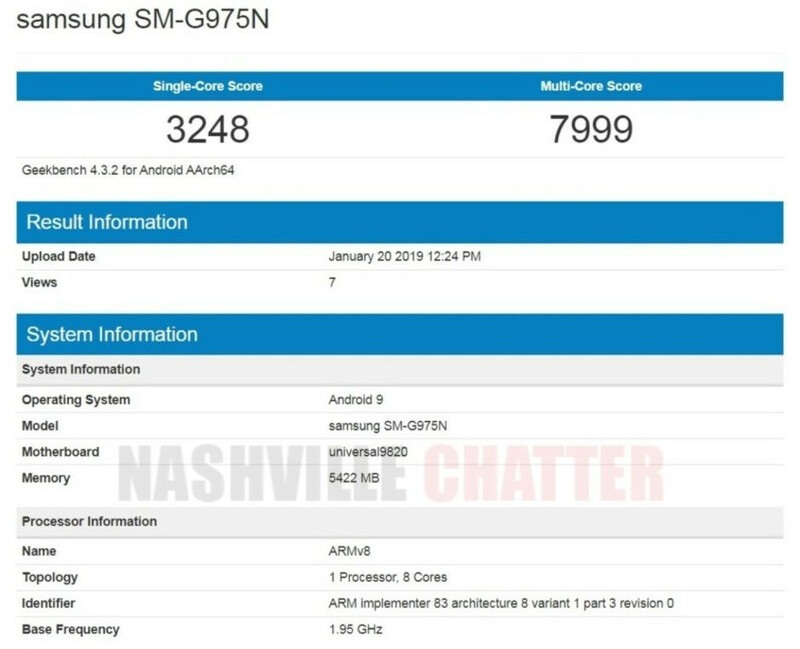 With the help of the Exynos 9820, 6GB of RAM, and Android 9 Pie, the global Galaxy S10+ scored 3248 points on Geekbench’s single-core test. Likewise, when all cores were working together, the upcoming flagship managed to reach a total of 7999 points. When compared to most smartphones, there’s no denying these results are still pretty impressive. However, when placed alongside other flagships such as the iPhone XS or even last year’s Galaxy S9 the numbers are pretty lackluster. 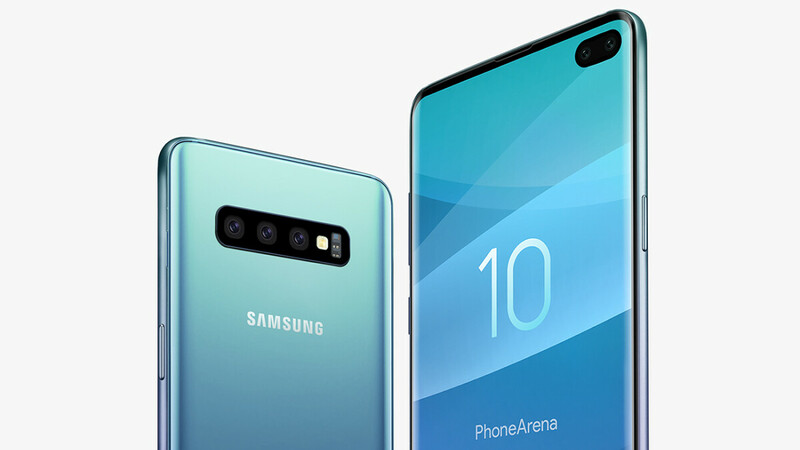 These new figures also pale in comparison to the US-bound Galaxy S10+ which is powered by the Snapdragon 855 and recently scored 3413 points on the single-core test and a very respectable 10256 points on the multi-core one. Typically, the Exynos-powered flagships are weaker when it comes to benchmark performance so slightly lower scores are to be expected. Ultimately, though, such large differences are very unusual and suggest that the benchmarked model wasn’t fully optimized. Moving away from the benchmark scores, it’s worth noting that the 6GB of RAM model will arrive with either 128GB or 256GB of internal storage. Similarly, those of you looking for a little extra should be able to purchase a model with 512GB of storage and 8GB of RAM. The Galaxy S10+ will arrive equipped with a large 6.4-inch AMOLED display complete with Samsung’s trademark curved edges. This time around, though, the display will feature a pill-shaped cut-out in the top-right corner that houses two front-facing cameras, one of which could be a Time-of-Flight sensor that may allow for improved facial recognition, thus giving Apple’s Face ID a run for its money. This new dual-camera setup up front will be accompanied by a triple-camera layout on the rear. Like recent Samsung flagships, a variable-aperture 12-megapixel sensor will be accompanied by a separate sensor complete with a telephoto lens. But in addition to these, Galaxy S10+ owners will also gain access to a new wide-angle sensor. The Samsung Galaxy S10+ will be officially introduced on February 20th alongside the Galaxy S10, Galaxy S10E, and the company’s foldable Galaxy Fold. Galaxy S10 series sales are expected to commence in early March while the Galaxy Fold should hit shelves during the second quarter. So will this translate into a stuttery and laggy performance once the device is out? I highly doubt it. As mentioned in the article the smartphone probably isn't optimized properly. This benchmark is meaningless, when the s10 is out you'll see that it will beat the a12 in geekbench, but I doubt the s10 will be able to compete with oneplus 7 and the pixel 4 in terms of performance. Why would it stutter and lag even if the score remained at 8000? Who buys a Samsung doesn't give a dime about how fast iPhone is. They just want a beautiful device, with a good camera, one of the best display ever, good sound by AKG, and so on. Why bother posting this, previous benchmarks of the 9820 have already shown it tops 4200 single core and above 11000 in multicore. This clearly must've been running in powersave mode. Whatever the benchmarks that come out when the phones are released, these will all be more than fast enough in everyday use. They will all be fully packed with class-leading features, functionality, a great design and top-end screen to body ratio. I own nokia 7 plus, it is smooth and stable on app management even if it only have sd 660. I don't care if s10 series won't beat iphone in benchmarks, as long as: 1- They won't post deceiving results 2- Soc is optimized with the ram and storage transfer 3- Give open source codes to developers to properly harness the soc strength. Benchmarks are for OC bean counters. I prefer a sturdy, everyday product that won't fail me on every dollar I paid for it.